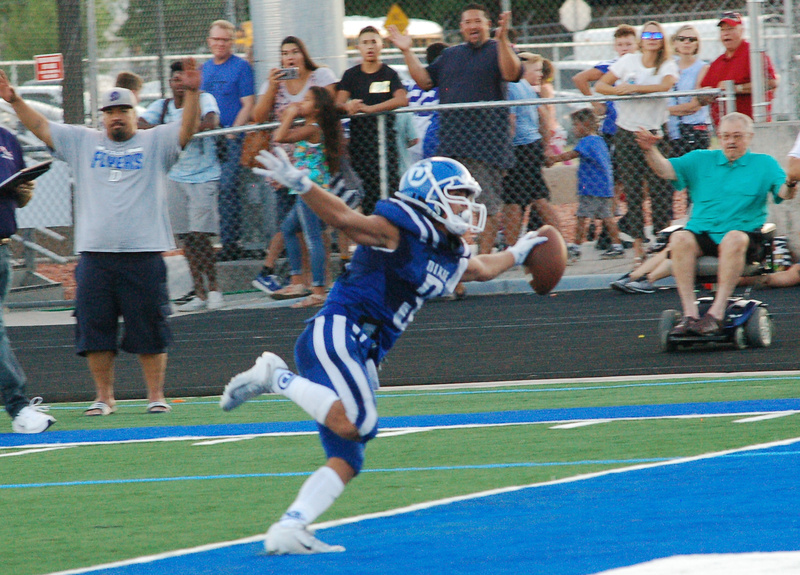 ST. GEORGE — After three weeks of preseason games, the football teams of Region 9 will kick off the regular season Friday night, with home games taking place at Dixie, Desert Hills and Canyon View. The Dixie Flyers host the Cedar Redmen at 7 p.m. Both teams sport 2-1 preseason records, having won their last two games after losing their opener. According to noted statistician George Felt, the two teams are meeting for for the 89th time, with Dixie leading the series 55-33 since 1949. The rivalry is the 10th most-played series overall and the second most-played uninterrupted active series among Utah high school football teams. Meanwhile, Desert Hills (1-2) will be playing at home for the third week in a row when the Thunder host Snow Canyon Warriors at 7 p.m. After losing their first two preseason games, Desert Hills picked up a 42-0 shutout victory over Kealakehe, Hawaii, last week. Snow Canyon, also 1-2, has lost its last two games after winning an overtime thriller over Taylorsville in its opener. Meanwhile, in Cedar City, the Canyon View Falcons (1-2) are scheduled to host Pine View (2-1) Friday at 7 p.m. The Hurricane Tigers are idle this week. They’ll host Desert Hills Sept. 14 for their region opener. After Region 9’s first full week of region games, the Snow Canyon Lady Warriors are in first place, unbeaten in three contests. 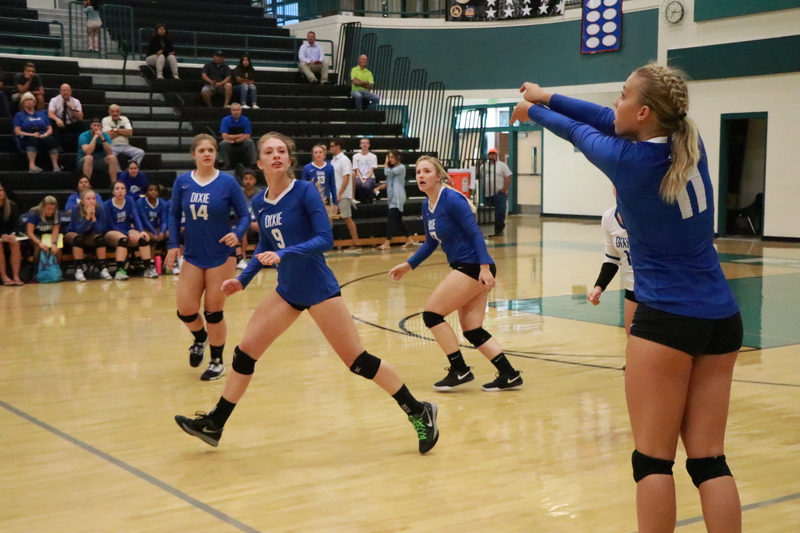 Snow Canyon won Tuesday at Pine View 3-0, sweeping the match with game scores of 25-21, 25-18 and 25-19. Lizzie Rowland led the Lady Warriors with 17 assists and 13 digs, while Sammi Johnston had a team-high 13 kills. Then on Thursday, Snow Canyon picked up another sweep on the road as the Lady Warriors beat Hurricane 3-0 (25-22, 25-17, 25-12). Johnston again led the way with 13 kills, while teammate Katie Langford recorded nine blocks. At Dixie on Tuesday, the Lady Flyers picked up their second straight region win with a 3-1 victory over Hurricane. The Flyers won a tightly contested first game 26-24 but dropped the second game 13-25. They then came back to win the third game 26-24 and the fourth game 25-15. The closest match of the week was Thursday’s contest featuring Cedar at Pine View. The two teams alternated winning sets, with Cedar prevailing in the fifth and final game to take the match 3-2 (25-23, 21-25, 25-20, 13-25, 15-7). The Snow Canyon Lady Warriors handed the Desert Hills Lady Thunder their first season loss Tuesday. 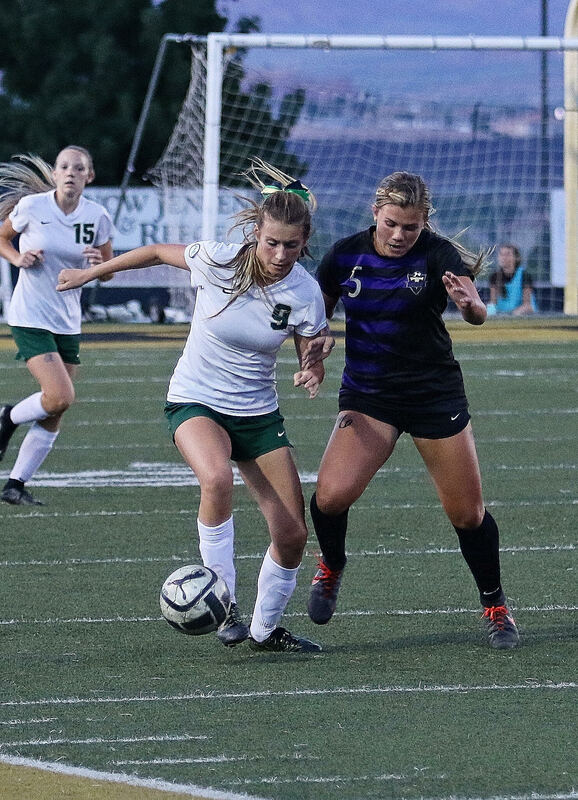 Snow Canyon’s 3-1 win came on a pair of goals by Heidi Smith and one by Ashley Brindley. Snow Canyon led 2-0 at the half and managed to stay ahead the rest of the game. Lulu Harris scored Desert Hills’ lone goal. Also on Tuesday, Dixie edged Pine View 2-1 at Pine View, and Cedar beat cross-town rival Canyon View at Canyon View 6-3, with Logann Laws and Kelsi Oldroyd each scoring two goals for the Lady Reds and Chloe Bearnson and Becca Boyer each adding one. Morgan Haag had a hat trick to account for all three of the Falcons’ scores. Snow Canyon defeated Cedar at home Thursday in a high-scoring contest, 7-4. Smith scored four goals and had an assist for the Lady Warriors, who led 4-2 at the half. Also Thursday, Dixie shut out Canyon View 7-0, with Isabel Ericksen, Halee Barker and Kennedy Warnick each scoring twice and goalkeeper Mashaun Estridge picking up the shutout. At Hurricane on Thursday, the visiting Pine View Panthers beat the Tigers 2-0 to move up into a tie for fourth place in the region standings. Desert Hills swept both of its matches this week in decisive fashion, beating Hurricane at Desert Hills on Tuesday and defeating Snow Canyon at Snow Canyon on Thursday. Both were by 5-0 scores, as the Lady Thunder stayed unbeaten in the season. Against Hurricane on Thursday, junior Morgan “Mo” Behymer defeated Maeci Hicken in first singles, 6-0, 6-0, while sophomore Mackenzie Telford beat the Tigers’ Jessie Hayes 6-0, 6-1 in second singles, and sophomore Tia Turley defeated Hurricane’s Kinlee Barney 6-1, 6-1. 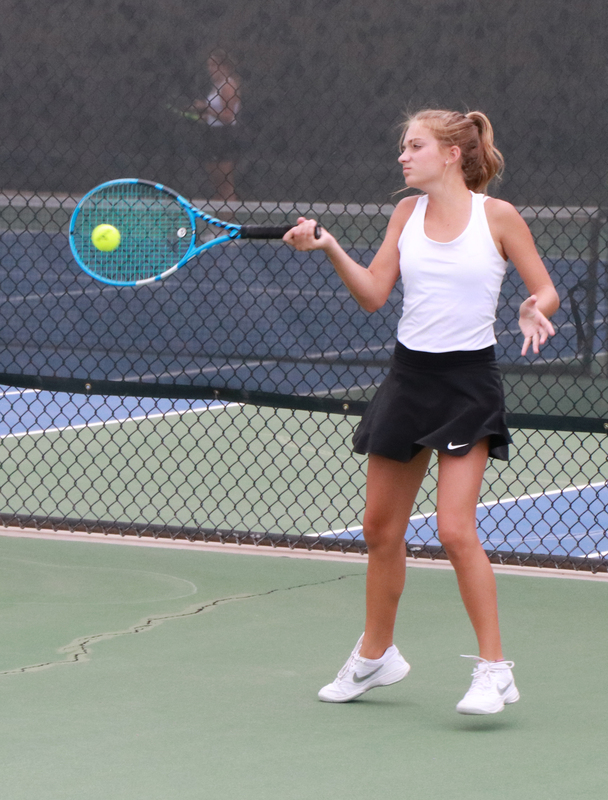 In doubles play, the Thunder’s top team, Faith Hess and Cassie Kohler, knocked off Taycee Oliphant and Mckenzie Shirley of Hurricane, 6-0, 6-1. Meanwhile, in second doubles, Lyndsi Graf, the only senior on the Thunder’s team, paired with freshman standout Averee Beck to sweep Hurricane’s Gabby Homer and Sydney Dobson 6-0, 6-0. Our depth was on display last week when I had to sit Behmer and Graf with minor injuries for the Stephen Wade Invitational, and yet, even without two dominant players, the team won the event with four of five first-place medals. We played exceptionally well today against a good Hurricane team, giving up only four total games in 10 sets played. Smith said Desert Hills is looking to unseat reigning 4A state champion Park City as the top 4A team in state. The Thunder beat Park City 5-2 in the Lone Peak Invitational, and Smith said they are looking forward to playing them again in the second of two Stephen Wade Invitational tournaments hosted in St. George by Dixie High and Desert Hills High. That event takes place Friday and Saturday at the Tonaquint Tennis Center. As of Friday, both Desert Hills and Pine View are 5-0 in regular-season region matches, with just two more contests for each left to play next week. Desert Hills will host Pine View Tuesday in a showdown of the undefeated teams. Dixie is currently in third place in the region standings; Snow Canyon is in fourth, followed by Hurricane, Cedar and Canyon View. The Region 9 tournament is scheduled for Sept. 21-22 at Tonaquint Park in St. George, after which the qualifying athletes will advance to the state 4A tournament at Liberty Park in Salt Lake City on Sept. 27 and 29. At the fourth Region 9 meet of the season Thursday at Green Spring Golf Course in Washington, the Desert Hills Thunder shot under 300 for the second week in a row to take first place as a team. Desert Hills’ Curtis Matheson led the way with a top overall individual score of 71, while his teammate Cruz Kirchhausen recorded an even-par 72 for second place. Tied for third were Lucas Schone of Pine View and Ashton Davison of Desert Hills, who each had a 76. Next week’s match is Thursday at Sky Mountain Golf Course in Hurricane, starting at 12:30 p.m. The Dixie All-Comers invitational at Bloomington Hills Park was held Tuesday, but the meet was a nonscoring junior varsity event. Next week, Hurricane High will host a varsity invitational meet Wednesday at 5 p.m. at the Sand Hollow Golf Course.